Ronke has a unique educational background, with experience in both accounting and healthcare. Her proficiency in the area of the Resource Based Relative Value System (RBRVS) enables her to guide medical practices in all phases of the billing and collections process, ensuring maximal realization for each procedure. 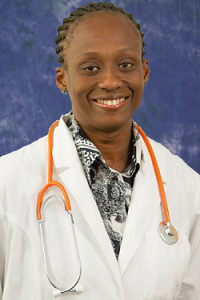 Ronke earned her certification as a registered nurse (RN) from the University of Medicine and Dentistry in 2001. She then went on to achieve a Master of Business Administration degree (MBA) from Rodgaz Business School in 2006. She worked in the Urbach & Avraham tax department for several years, and recently passed all four parts of the CPA exam. We are excited about the rich experience and well-honed skill sets she brings to our firm.